Students under the auspices of National Association of Gbaramatu students, NAGS have raised alarm on what they described as technical militarization of the Kingdom in Warri South West Local Government Area of Delta State. This was made known yesterday by the National Secretary of NAGS, Comr. Collins Oturubo. 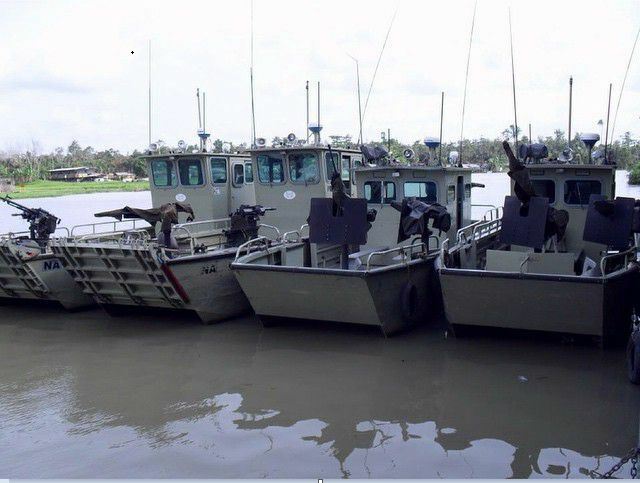 Oturubo had stated that the entire kingdom is in panic as military gunboats have been moving strangely within the length and breadth of the Kingdom. He had particularly described the situation as worrisome as Gbaramatu had been very peaceful, stressing that the scary deployment of the gunboats is totally uncalled for. He said the Kingdom is at war with no one, wondering on why such heavily armed boats and soldiers will be deployed to the area. Meanwhile, it would be recalled that military helicopters where hoovering round Gbaramatu, particularly the Oporoza, Kurutie axis which causes panic among students, sons and daughters of the Kingdom. The NAGS chieftain had further stated that the movements of gunboats in the Kingdom has been on for days now. Collins had however, called on authorities to bring to an end the silently and technical militarization of the kingdom, adding that people can no longer sleep with their two eyes closed. Meanwhile, it would be recalled that up till now, reasons for the movement of the gunboats and helicopters into Gbaramatu is still not known.